I have no idea what changed with our rabbit population. They have been uncommon for several years until this year. 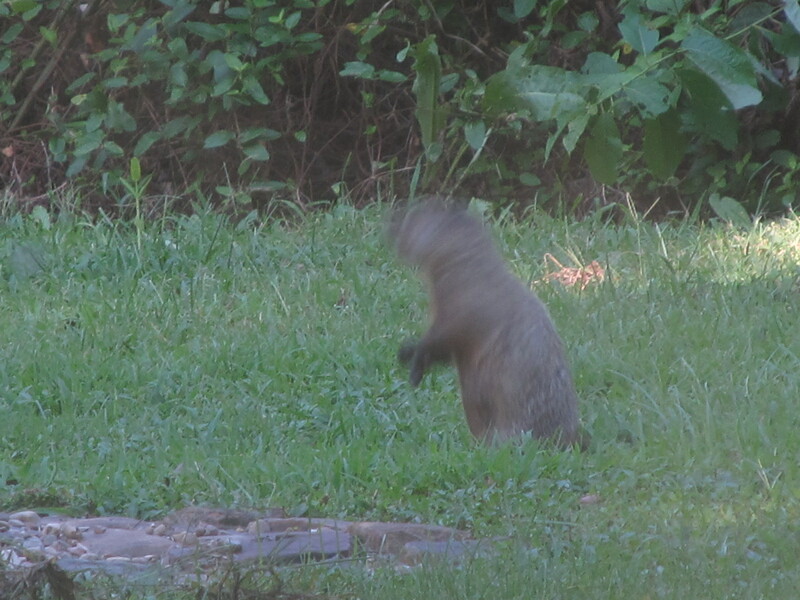 A little later an adult groundhog sat upright near where the rabbit had been. 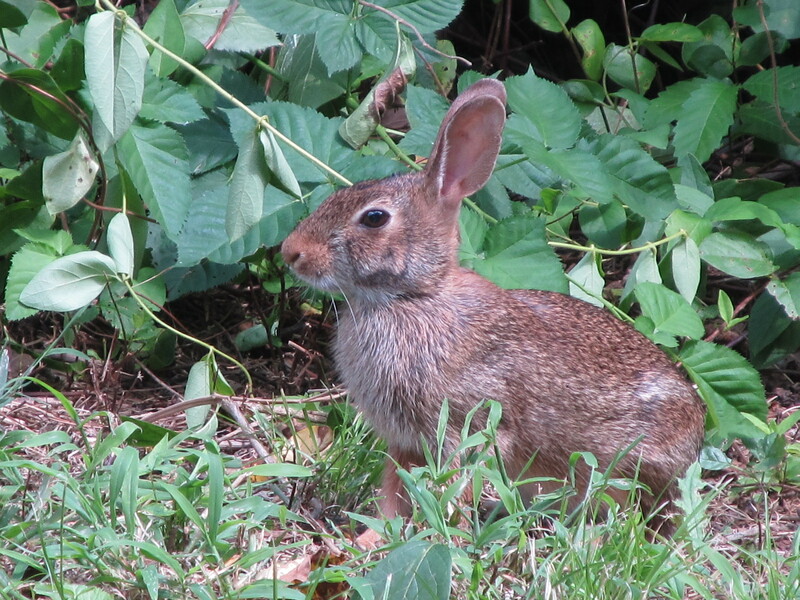 I think it saw me through the picture window and decided to high-tail it to the safety of the weed patch. Then this afternoon, I took my youngest grandson out in the backyard. The groundhog watched our approach. Buffy saw it and started almost stalking toward it. 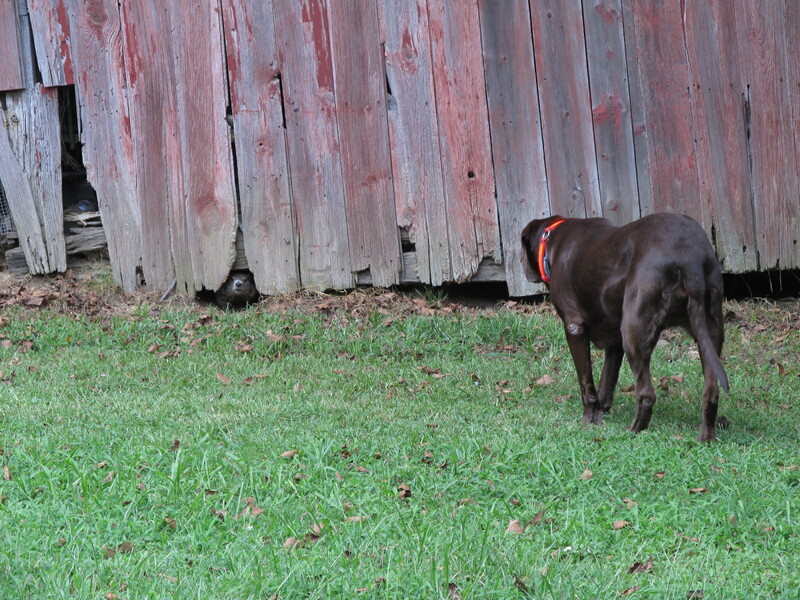 The groundhog didn’t like the intense staring and retreated back under the barn. The young ones will watch me from same spot as the adult above. So, when one is watching me, I carry on a one-way conversation with it as I walk past. Maybe someday I’ll get a reply. Finally! I watched these “grasshoppers” all summer. They’d fly, looking like butterflies, with their black wings with pale yellow border. Then they’d land way off yonder and disappear into their surroundings. 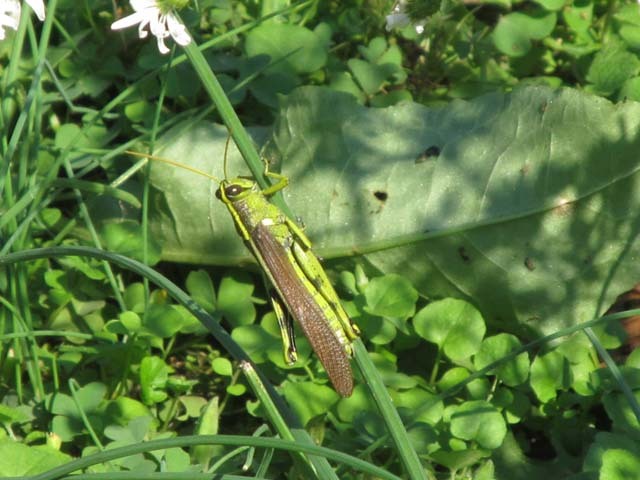 I usually notice grasshoppers, but know the names of only a few. 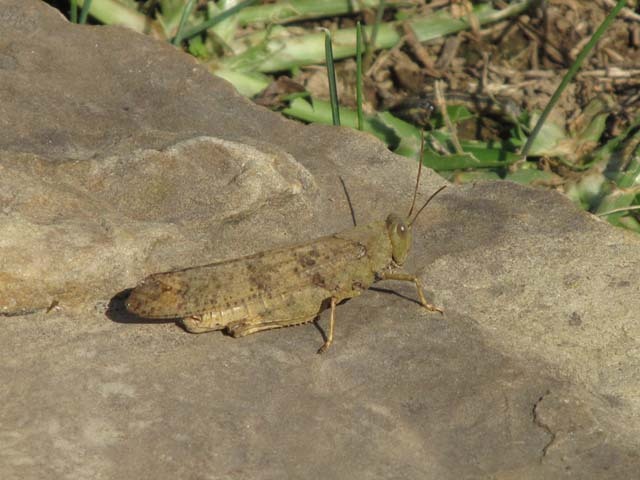 Turned out this was a Carolina locust. They’re 1 3/8 to 2 inches long and are found throughout the U.S. I was out one afternoon recently and one of the cats was trying to catch them. One would take off flying (quite rapidly I might add), and the cat jumped upward too. It didn’t work. It was a funny sight to watch. Later I found this grasshopper. I wasn’t able to identify it, but that didn’t affect my enjoying the encounter.